How Do the Car Experts decide the Price of the Car? When the car experts at A1 Malaga Auto Dismantlers inspect the old cars, rusted cars, accidental cars for the cash for cars services, the price of the cars depend on the following factors. We, as the leading car removal Perth company don’t reject the car due to its make, model, and condition, but these factors are considered when the price of the car is being decided. The make, model, and condition of the car tells the car experts about the general weight of the remaining metal in the car. This lets them come up with an approximate figure if the car seller is asking a free quote over the phone. This is the easiest way to tell an approximate amount. 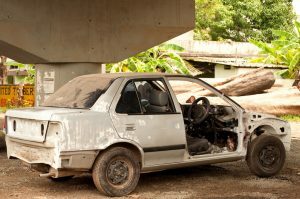 The scrap metal left in the car is weighed for its price, but the car parts that are still working fine are sold in their original condition most of the time or with a little reconditioning. These parts can bring a huge difference in the price of the car. Bigger cars have more metal in them and they have more weight. These also contribute to the car’s price. Cars with more metal are sold at a higher price and the car seller gets good cash for his car. A1 Malaga Auto Dismantlers has this process of considering the parameters while evaluating the car for its true price. The car removal Perth services are offered for free by the company.